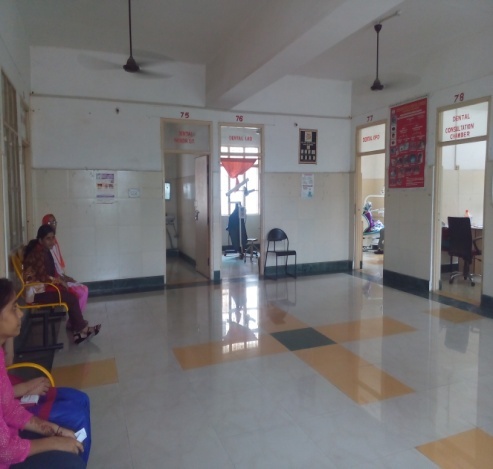 At present the department is running on first floor new building 07 rooms, Department has well equipped 03 dental chairs, dental minor O.T., dental laboratory, X- ray room with adequate facilities. 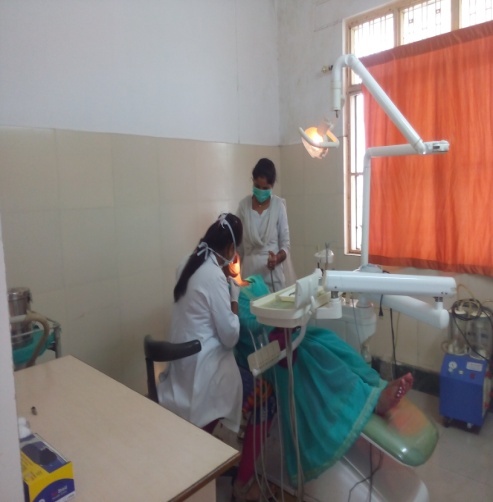 Well trained faculty is available for paediatric dental problems, dental implants, prosthetic, periodontal, facial trauma & orthodontic treatments in the department. Dental hygienists and Dental mechanics of the department are also well trained and they are devoted to their work. 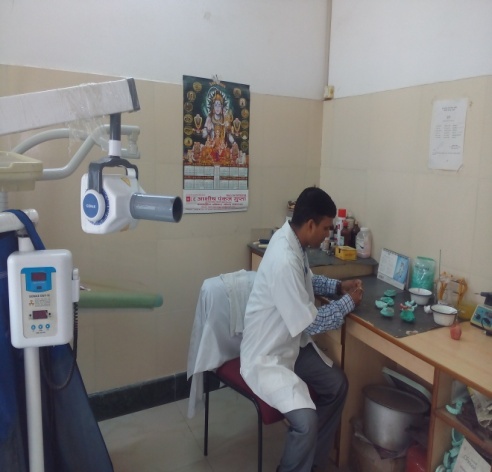 A large number of patients visit dental department with various dental problems. 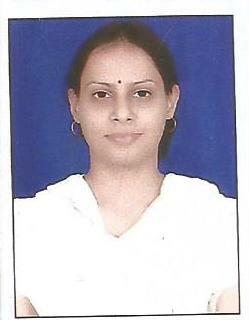 Department is gradually growing towards the heights in the profession. Research under the title "Oral Pap Smear for the Assessment of Adverse Effects of Tobacco on Patients" is going on by Dr. Nalini Tripathi (Associate Professor). Oral cancer detections and its treatment is done. No. of papers published 7.